Limits on Pell Grants and using Military Aid to pay for school. I am a 25-year-old woman looking to go back to school for a second degree in a different field of study than my original degree. I am married to an enlisted sailor and currently unemployed. For my first degree I did not fill out the FAFSA and therefore I did not receive any federal aid in the form of grants or loans. Now that I’m wanting to go back to school I will fill out the FAFSA, but I was wondering if the fact that I have not filled it out before and have not used federal resources might count in my favor to actually receive federal grants this time around. Is that possible or will the fact that I’m seeking a second degree make me completely ineligible for that type of aid? — Diana R. Eligibility for the Federal Pell Grant is restricted to students who do not already have a Bachelor’s degree. If a student is seeking a second Bachelor’s degree, she will not be able to get a Pell Grant regardless of whether she received federal student aid in the past or not. However, such a student remains eligible for the Federal Stafford loan, up to the annual and aggregate loan limits, as well as the Federal Work-Study program. If the student’s previous degree was an Associate’s degree or certificate, she will potentially be eligible for a Pell Grant. So long as the student has not yet received a Bachelor’s degree, she remains eligible for the Pell Grant. Aside from the restriction to a first Bachelor’s degree, a student who has not previously used the Pell Grant will have more semesters of Pell Grant eligibility remaining than a student who previously received Pell Grant funding. Pell Grants and Lifetime Eligibility Used (LEU) \ Undergraduate students are now eligible to receive the equivalent of at most 12 semesters of Pell Grant funding. The limit applies to all Pell Grant funding ever received by the student. The US Department of Education has introduced a new concept and acronym to measure a student’s remaining eligibility for the Pell Grant. The Lifetime Eligibility Used (LEU) is the number of years' worth of Pell Grant funding remaining, expressed as a percentage. For example, 100% represents a full year of eligibility, so 600% represents the equivalent of 12 semesters of eligibility. If a student receives a Pell Grant while enrolled on a half-time basis for a full award year, the Pell Grant will be half of the Pell Grant to which the student was entitled, increasing the LEU by 50%. Likewise, if a student receives a Pell Grant while enrolled full-time for just one semester, the LEU will be increased by 50%. Students can see their current LEU percentage by logging into the National Student Loan Data System (NSLDS). The LEU is listed on the Financial Aid Review page. If a student’s LEU equals or exceeds 600%, the student is no longer eligible for the Pell Grant. If a student’s LEU remaining is less than 100%, the student will be eligible for less than a full Pell Grant. The LEUs are measured against the amount of Pell Grant funding the student would have received if the student were enrolled on a full-time basis for a full award year. The LEUs are not measured against the maximum Pell Grant. So a student may wish to turn down a small Pell Grant to preserve future eligibility for the Pell Grant if the student expects to be eligible for a larger Pell Grant in the future. To decline Pell Grant funds, the US Department of Education requires the student to sign a “written statement clearly indicating that the student is declining Pell Grant funds for which he or she is otherwise eligible and that the student understands that those funds may not be available once the award year is over.” A student can return already disbursed Pell Grant funds by signing a similar statement, provided that the funds were received during the current award year. Students may not return Pell Grant funds from prior award years. Student Aid for Military Spouses Students who are married to members of the US Armed Forces may be eligible for some forms of military student aid. Under the Post-9/11 GI Bill, the servicemember may be able to transfer education benefits to their spouse or other dependents. 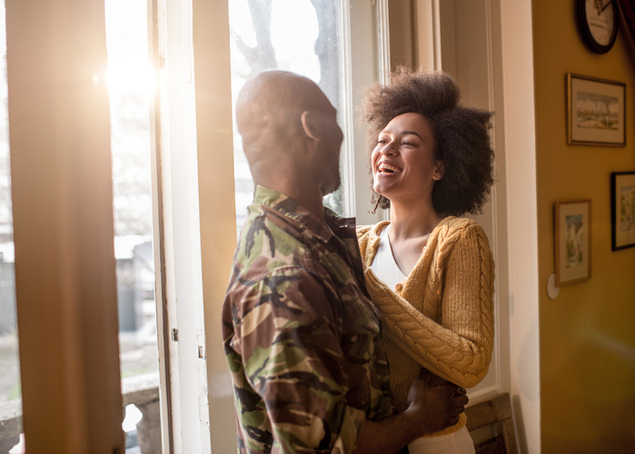 Also called spouse tuition assistance, Military Spouse Career Advancement Accounts (MyCAA) provide student financial aid of up to $4,000 for military spouses who are seeking a degree, license or credential that leads to employment in a “portable” career field. Other programs include DEA and SOC. There may also be funding available from state and private scholarship programs, such as NMCRS.